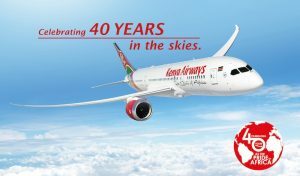 Following up from last year, three companies that had their year-end in March 2017 – Centum, Kenya Airways, and Safaricom have just published their annual reports. Later this month, they will all have shareholders annual general meetings – Safaricom’s will be on September 15, Kenya Airways, who already had an EGM will have their AGM on 22 September, while Centum’s will be on September 25th at Two Rivers, Nairobi. Notes from the annual reports. Has a massive 234-page annual report (up from 192 pages), and the company has 37,163 (last year 37,325) shareholders. 44 shareholders have more than 1 million shares. Board changes at the AGM: New chairman Donald Kaberuka will meet shareholders, and this year Henry Njoroge Imtiaz Khan and Dr. James McFie all step down from the board. 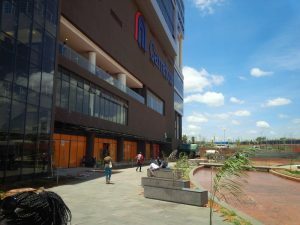 Shareholders will also be asked to approve the incorporation of ten Ramani Arch companies as Vipingo subsidiaries, Rehati Holdings, Zahanati Holdings Greenblade Growers, and a Greenblade EPZ. Had 86 billion assets. Profit was Kshs 1.5 billion for the year then added with other gains from value changes, this reached Kshs 6.1 billion. Their auditors, PWC, flagged issues like loan impairment at Sidian, loans at Chase Bank, the value of unquoted assets, the value of goodwill, and the value of investment properties. Centum shareholders to meet at Two Rivers. Associates: Centum sold off their entire 26.4% of KWAL (for Kshs 1.1 billion) while at Longhorn they raised their stake to 60%. Unquoted investments include General Motors East Africa (GMEA – estimated Kshs 3 billion worth), Nas Servair (estimated Kshs 765 million) and Nabo. NAS, where they own 15% opened three Burger King restaurant franchise outlets in Kenya. Centum still owns 17.8% of GMEA after Isuzu bought a majority 57% stake from GM. They also own 25% of Platinum Credit that provides loans to civil servants and has 80,000 customers. Their Lulu Field acquired 14,000 acres in Masindi Uganda for agriculture. They own 27.6% of Nairobi Bottlers which accounts for 47% of the Coca Cola sold in Kenya. In energy, they own 37% of Akira geothermal and 51% of Amu Power. Managers earn more from performance bonuses than salaries. They are owed Kshs 12 billion by related parties including 1.1 billion by Two Rivers Development, 3.1 billion by Centum Exotics, 3.3 billion from Centum development, 1.3 billion by Mvuke (Akira geothermal), 672 million at Vipingo Development and 533 million from Investpool Holdings. The report is 172 pages (up from 149 pages) and KQ has 79,753 shareholders (up from 78,577). Going Concern: While their auditors KPMG have a material matter about KQ’s uncertainty as a going concern, the Directors have prepared the consolidated and company financial statements on a going concern basis since they are confident that the plans described above provide a reasonable expectation that the Group and Company will be able to meet their liabilities as and when they fall due and will have adequate resources to continue in operational existence for the foreseeable future. The Directors believe the plans above will improve the Group and Company’s profitability, cash flows and liquidity position. Sebastian Mikosz takes over as Group Managing Director & CEO, replacing Mbuvi Ngunze. Tax treatment: the accumulated tax loss of Kshs 71 billion of Kenya Airways and Kshs 782 million of JamboJet will be carried forward for ten years and used to offset future taxable profits. The fleet in 2017 had 39 aircraft down from 47. The board approved the sale of 6 aircraft, and 5 have since bene sold. 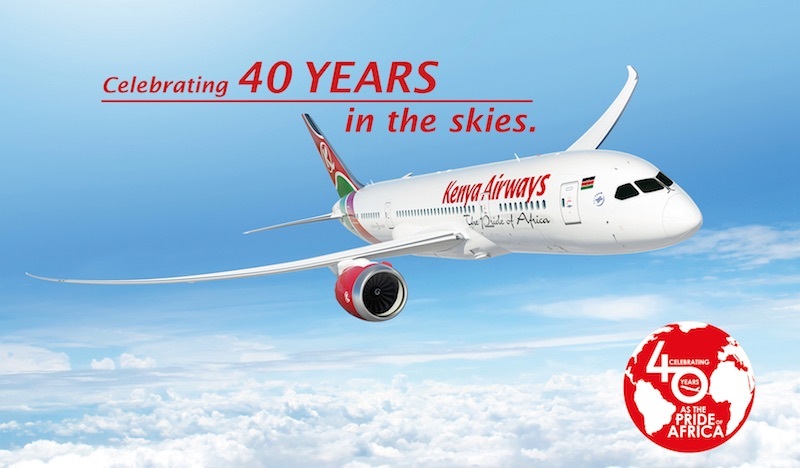 Also, two Embraer 170’s were returned early to the lease owners while three Boeing 777-300 were leased for four years by KQ to Turkish Airlines with another two Boeing 787-800 leased to Oman Air for three years. Borrowings Barclays Bank PLC – Aircraft loans 325 million at 4.87%, Citi/JP Morgan – Aircraft loans Kshs 71,649 million at 1.89%, African Export – Import Bank (Afrexim) – Aircraft Loans Kshs 21,050 million at 4.82%, and short-term facilities of 24,776 million at 8.58%, and Government of Kenya 24,540 million at 8.58%. The short term facilities were drawn down from Equity Bank, Jamii Bora Bank, Kenya Commercial Bank, Commercial Bank of Africa, I & M Bank, Chase bank, National Bank of Kenya, Diamond Trust Bank, Co-operative Bank, NIC bank and Ecobank for the financing of pre-delivery payments for ordered aircraft. On Time Performance (“OTP”): The top delays contributors were:1) Aircraft serviceability and availability;2) ATC restrictions and weather;3) Passenger and ramp handling;4) Crew shortage; and5) Connectivity due to new schedules with more efficient use of aircraft. 13 incidents related to disruptive passengers/inappropriate behaviour were reported in 2016/17 financial year compared to 21 incidents reported in the prior year. A total of 70 bird strikes were reported during the period under review compared to 63 cases in the prior year. Most of the reported bird strikes caused minimal damage to our aircraft, but several resulted in costly maintenance, parts replacement, and operational delays. These include two reported air turn back incidents and two rejected take-offs due to bird strikes. The report is 144 pages (down from 172) and the company has 582,775 shareholders (down 600,000 shareholders last year and 660,000 the year before that). At the AGM, shareholders will approve payment of a dividend of Kshs 0.97 per share (out of EPS of 1.21) – for a total dividend payout of almost Kshs 39 billion. Last year they paid Kshs 57 billion in dividends (35% of which went to the government to whom they also paid Kshs 84.3 billion in taxes and other fees). Shareholders will approve a name change to Safaricom PLC. Also, they will vote on special board change resolutions following the Vodacom Vodafone deal; these will mandate that the Chairman and all independent directors of Safaricom be Kenyan citizens, and also to require that a super-majority of the board (75% of directors) vote to approve changes to the business plans, appointments of the managing director and chief financial officer, and branding of the company – which previously Vodafone had a direct veto over. Balance sheet of Kshs 108 billion down from 117 billion. Bonga points (a loyalty scheme) now total Kshs 3.3 billion (up from 3.2 billion) are a liability to be converted to revenue as customers utilize their points. Safaricom also has deferred revenue of Kshs 3.4 billion from unused airtime and bundles (up from 2.7 billion) which include Kshs 243 million of managed services under the police contract. For, the National Police Service communication project an amount of KShs7.5 billion was received during the year and the outstanding balance at the year-end was KShs4.47 billion. The Group has short-term borrowing facilities with Commercial Bank of Africa, Standard Chartered Bank and Barclays Bank of Africa. Safaricom has an active ESOP: 13.7 million shares historically valued at KShs193.2 million (2016: 30.4 million shares valued at KShs375.12 million) vested and were exercised by eligible staff. Safaricom itself considers business risks including terror and cyber attacks, competition (from companies like WhatsApp), the regulatory environment and weakened economic growth. They have an Insider trading policy. Directors and staff are made aware that they ought not to trade in the company’s shares while in possession of any material insider information that is not available to the public or during a closed period. Subsidiaries are One Communications, Instaconnect, Packet Stream Data Networks, Safaricom Money Transfer Services, East Africa Tower Company, IGO Wireless, Flexible Bandwidth Services, Comtec Training and Management Services, and Comtec Integration Systems – all 100& owned, while The East African Marines Systems Limited (TEAMS) is an associate company where they own 32.5%. New products and innovations include Blaze, Flex and M-Pesa Kadogo under which they waived all charges for m-pesa transactions smaller than Kshs 100 ($1). Besides partnerships such as M-TIBA, Eneza and M-KOPA, they had others with women in technology, Little Cabs, athletics and music. Also, the Safaricom Spark Fund invested in six companies – Sendy, mSurvey, Eneza, Lynk, FarmDrive, and iProcure. 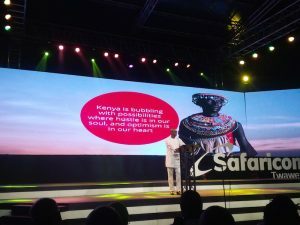 The company donated Kshs 381 million to the Safaricom foundation. Twaweza – when we come together, great things happen– is the next phase of the Safaricom brand. This entry was posted in Auditors, Centum, Coca Cola, ESOP, Kenya Airways, Kenya real estate, Kenya taxation, NSE investor awareness, Safaricom and tagged corporate governance, shareholders on September 12, 2017 by bankelele. wow, Centum is definitely the company of the year. such a wide portfolio of investment.